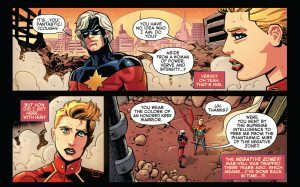 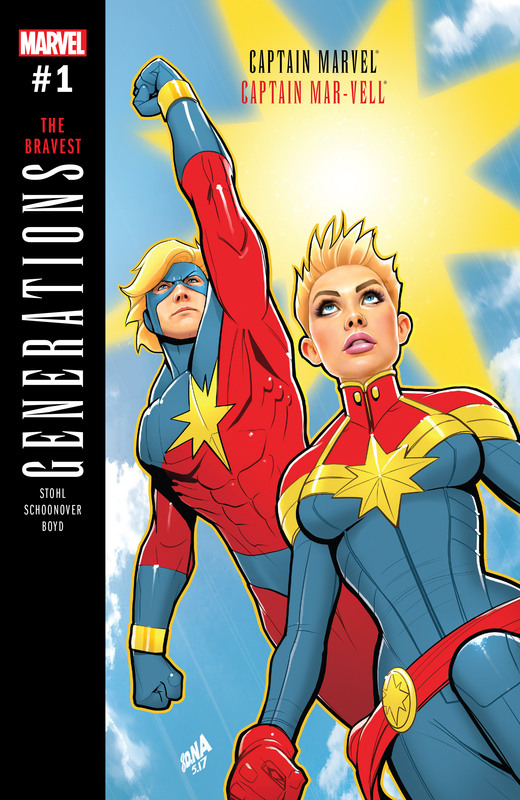 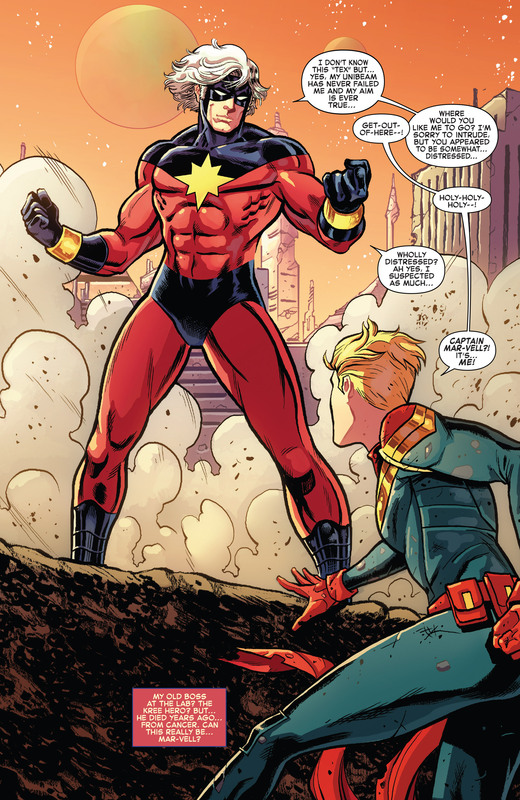 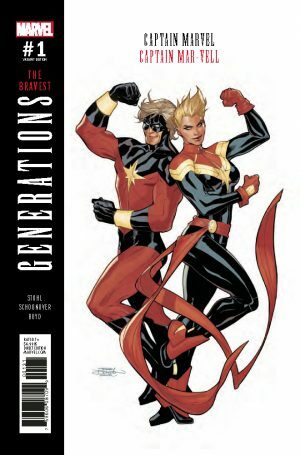 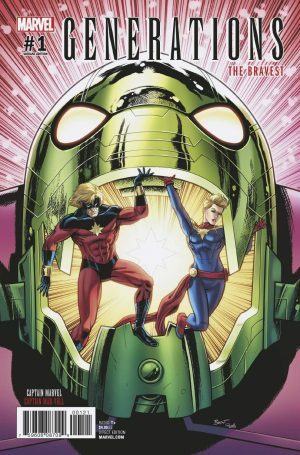 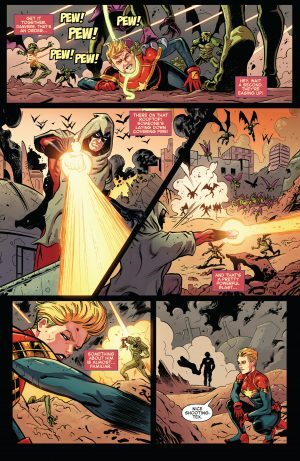 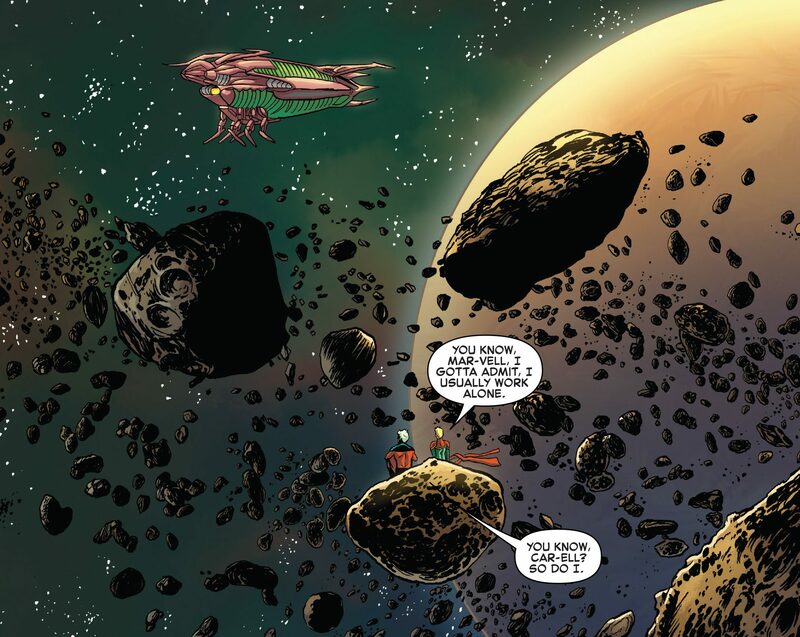 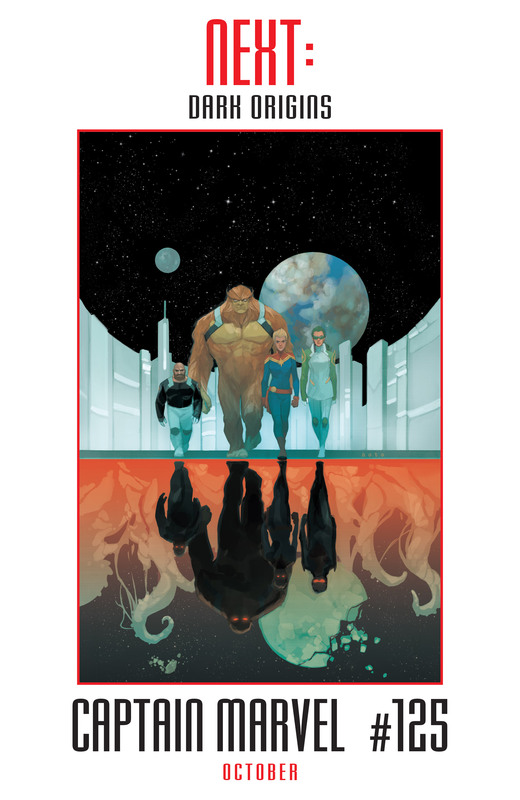 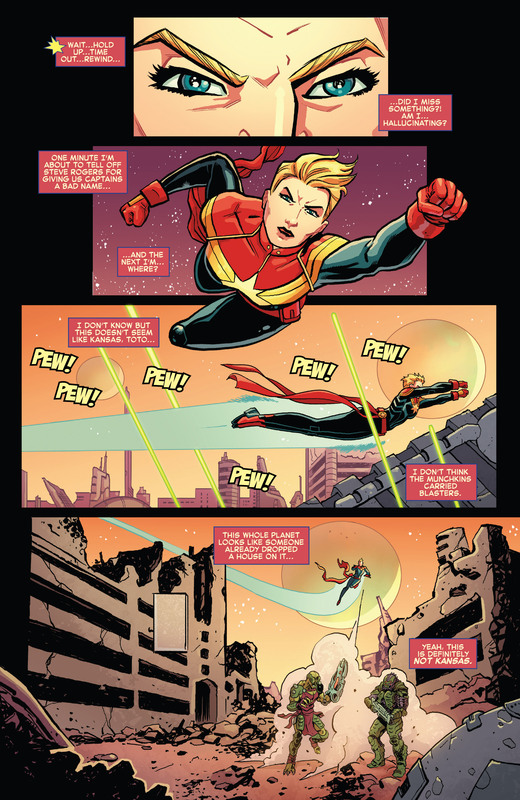 Marvel Comics Legacy and Secret Empire Spoilers for Generations Captain Marvel and Capt Mar-vell #1, The Bravest, follows. 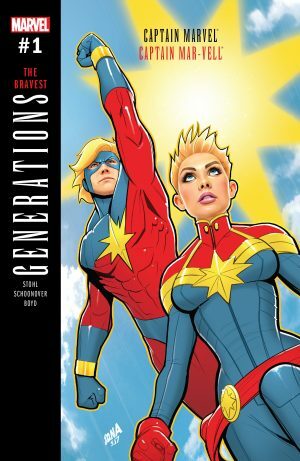 The book has at least three (3) covers. 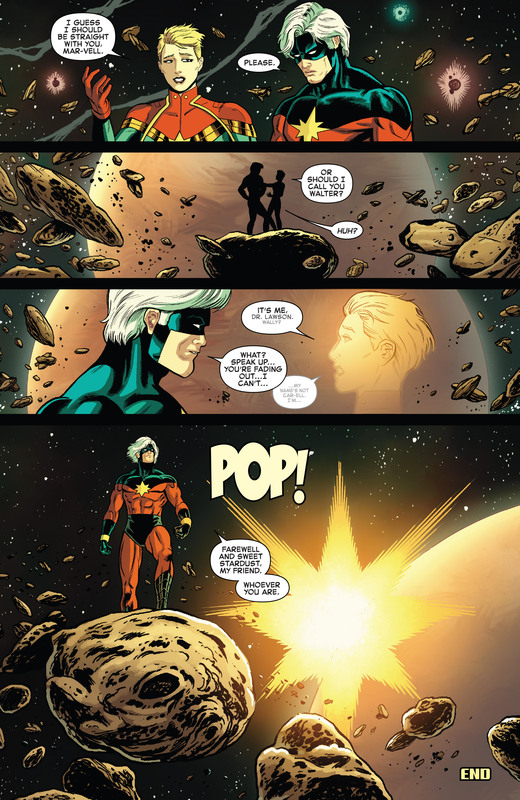 The book opens with the usual Vanishing Point poem and creative team credits page. 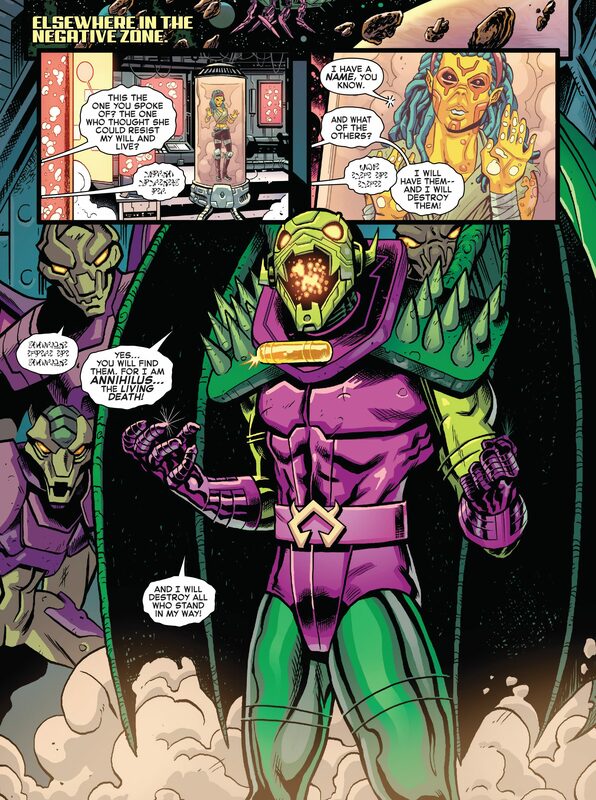 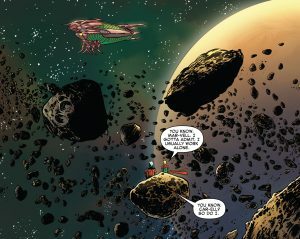 Several pages of enslaved people in the negative zone and the Captains saving them ensue culminating in Captain Marvel clocking Annihilus. 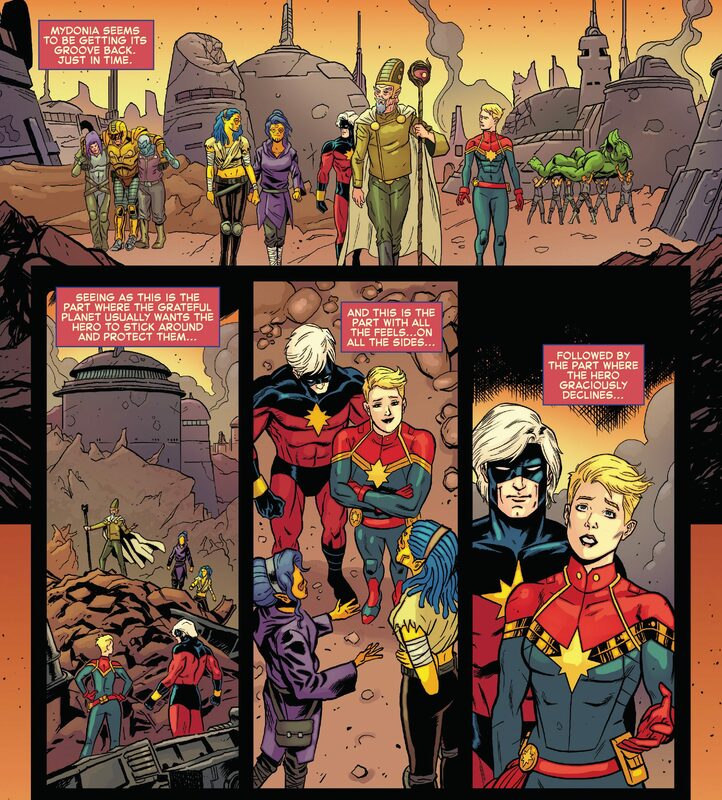 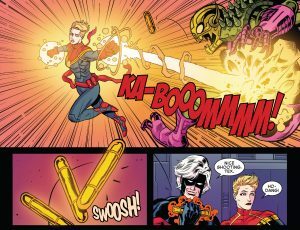 …before Captain Marvel can come clean with Captain Mar-vell that she is from the future, she is whisked back to the present day to Secret Empire #10. 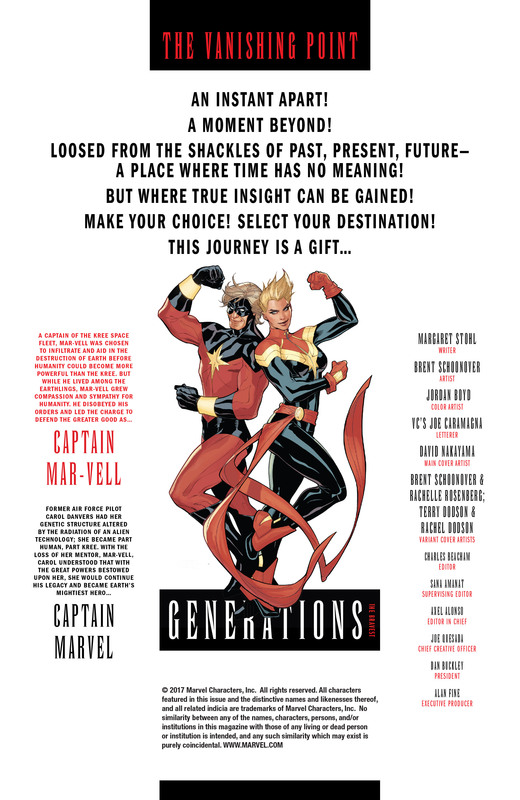 …Captain Marvel and Alpha Flight. 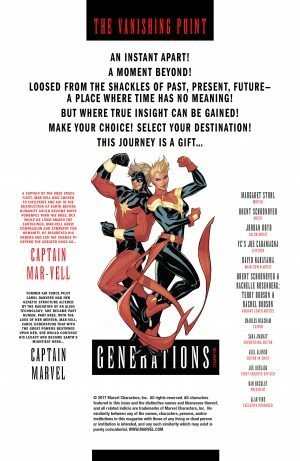 Like most Generations books, terrible “adventure” in the past, but it has some compelling framing pages at the beginning and end.